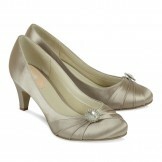 Grey evening shoes and pewter shoes look fantastic especially if you can incorporate a grey matching bag or pewter bag. 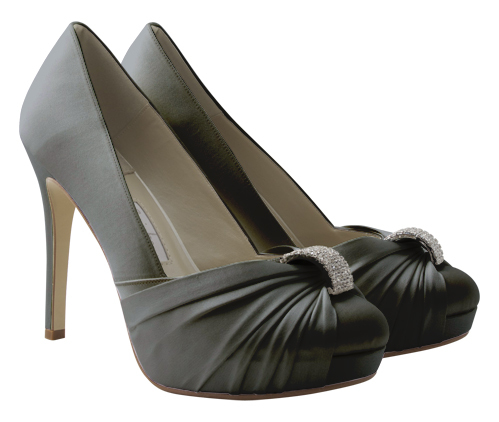 Grey evening shoes like pewter shoes look beautiful when in a satin material giving the wearer not only more comfort but a really stylish finish to the outfit to be accessorised. We can also dye our ivory shoes to pewter or grey, so if you can’t find the ideal grey evening shoes or pewter shoes in this section you can find the link to the dyed shoes at the foot of this page. Please don’t hesitate to contact us for any fitting advice as we are here to help.